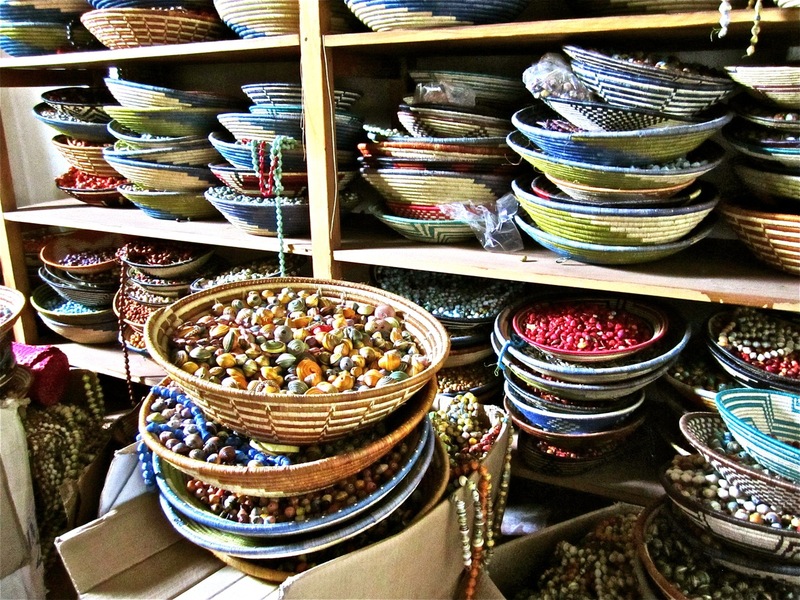 A storeroom of recycled paper beads at Gahaya Links, Kigali, Rwanda. Or steps leading into the sea. . . . 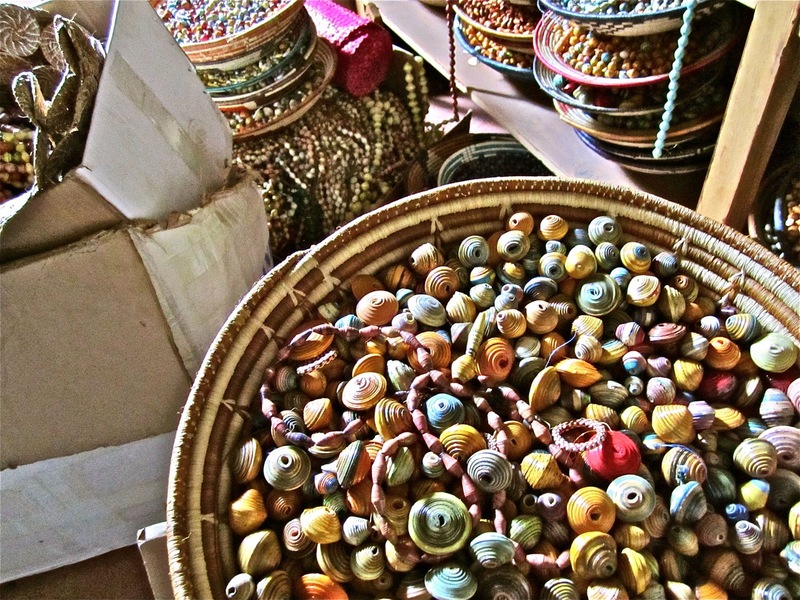 Some of them look like seashells with texture and old-world wisdom. The colors are beautiful! Oh, I know. 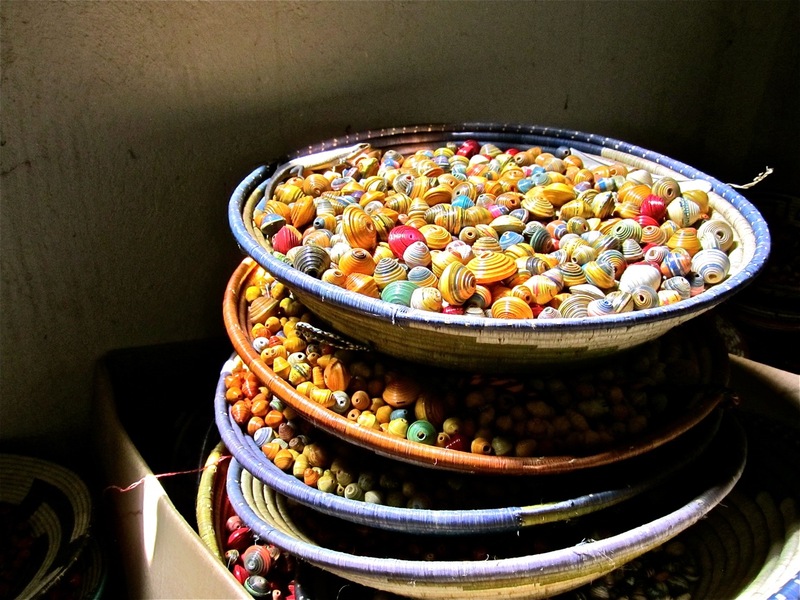 I was astonished when we walked into the small room full of these beads. Gorgeous. Wish I had some! I may have to see if they will sell me a kilo and try a give-away when we are back on R&R.